Q. Is technical/professional support available for the Sapian Root Remover System? A. Yes. Technical and professional support can be especially important when first learning to use the System. Dr. Sapian personally responds to telephone requests and e-mails regarding technical assistance and proper technique for using the Root Remover System, and also provides consultation regarding special cases. Q. What differences are there between the Sapian Root Remover System and the other specialized root extraction devices on the market? What makes the Sapian Root Remover System better? A. There are many important differences. The Sapian Root Remover provides faster extraction time, is more intuitively obvious to use, has the capacity to perform extractions at tooth locations that are more difficult or impossible to reach with other devices, provides much better tactile feedback, has better extraction screw design and reusable extraction screws along with a screw straightener feature, and the Sapian System is also much less expensive than other specialized root extraction devices. Compared to specialized forceps extraction devices, the Sapian Root Remover avoids the risk of buccal plate breakage associated with forceps that put pressure on the buccal plate, and the Root Remover provides true embedded root extractions even when the root lacks a purchase point for forceps. Q. How many uses can I get out of an extraction screw from the Sapian Root Remover System? Can I use an extraction screw more than once? Some root extraction systems say that the extraction screw is intended for "single use." A. When developing the Sapian Root Remover system, we gave a great deal of attention to the usage life of extraction screws. In our comprehensive written instructions (a PDF file available on the website) we discuss in detail factors that affect the longevity of extraction screws, and techniques for maximizing usage life. Dr. Sapian estimates that the "average" life of an extraction screw is somewhere from 5-15 extractions if the dentist is using proper technique by mobilizing the root prior to extraction and maximizing vertical lifting force. In other words, for an inventory of six screws the usage life of each individual screw may vary, but they might provide somewhere near 60 extractions in total. However, Dr. Sapian has had individual screws that last for as many as 25-30 extractions before they become unusable, while for some difficult extractions, the screw may bend or break during its first use. We have found that the small bend that may occur in a screw during some extractions can often be easily straightened, so that the screw may be reused again and again. To facilitate reusing screws, we built a screw straightening feature into our screw/bur block -- a simple hole in the side of the block, lined with soft metal, that allows the bent screw tip to be inserted and held fast while the screw shaft is bent back into a straight position without damaging the screw threads. Q. I have used another specialized root extraction instrument that requires me to use [polyvinyl siloxane] impression material to provide a support cushion for every extraction. This adds to the expense of each extraction. Will I have this same expense with the Sapian Root Remover System? A. No. The Sapian Root Remover System was designed with a sterilizable silicone cushion that fits in the fulcrum tray and protects the adjacent dental structures during most extractions. As explained in our comprehensive written instructions, when the adjacent dental structures are particularly delicate or vulnerable, we suggest in those circumstances that the dentist use polyvinyl siloxane (quick set registration material) to provide extra support under the Fulcrum Tray. Such cases are the exception rather than the rule, however. Q. Can I buy individual components of the Sapian Root Remover System without purchasing the entire System? A. Dentists who have purchased the Sapian Root Remover System may purchase individual replaceable components such as extractions screws, pilot drills, and surgical burs. 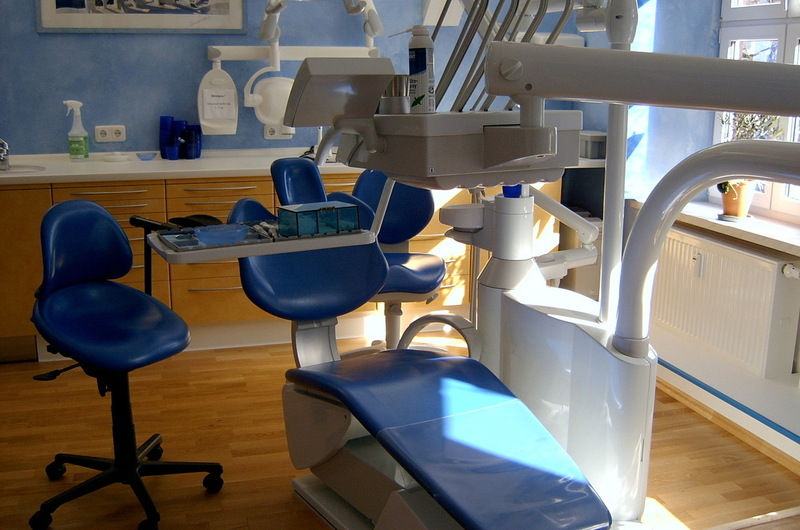 However, for two reasons, these replaceable components are not sold to dentists who do not already own the System. First, each component enhances efficiency and ease of use in a very specific way. Dentists achieve the best results when they have all components available. Second, we cannot be responsible for use of System components in a manner for which they were not designed. Like most dentists, Dr. Sapian looks for opportunities to save money on dental equipment and supplies, so he understands a dentist's desire to evaluate whether a particular purchase is a worthwhile investment. For that reason, we offer a money back guarantee. If you don't agree that the Sapian Root Remover System makes you a better dentist and benefits both you and your patients, you may send it back for a full refund within the trial period. Q. Are there preparatory steps or special techniques that will sharpen my clinical skills with the Sapian Root Remover System? A. Yes. The following steps are important and helpful. 1. CUT THE PDL. Use periotomes to cut the PDL, and rotate the periotome with apical force to create space between the root and the bone. Proper extraction technique always calls for taking steps to minimize the extraction resistance of the root and thereby reduce the amount of extraction force required. 2. LUXATE. Use an elevator to mobilize the root and further reduce the amount of extraction force required. 3. CHOOSE AND PLACE THE EXTRACTION SCREW WITH CARE. Study the radiograph and choose the proper length of extraction screw. After drilling the pilot hole, place the extraction screw at the proper orientation and depth to ensure that the screw engages tightly in the root. If a thin screw strips out, use a thick screw. 4. KEEP EXTRACTION SCREW LIFTING BALL NESTLED IN CRADLE OF PRY BAR. If you exert extraction force on the pry bar while there is too much space between the pry bar and the lifting ball, the pry bar prongs will pull at a horizontal angle and reduce the vertical lifting force. To avoid this, minimize the space between the lifting ball and the pry bar cradle before exerting extraction force on the pry bar. This can be done by choosing the proper extraction screw and by adjusting the height of the fulcrum tray under the pry bar using techniques described in the instructions. 5. KEEP PRY BAR ORIENTED IN A MESIAL OR DISTAL POSITION. When exerting extraction force, the pry bar should be oriented in a mesial or distal position. This will avoid destruction of buccal bone. DO NOT exert extraction force with the pry bar oriented at a right angle to the alveolar ridge. 6. USE A PUMPING MOTION WHEN EXERTING EXTRACTION PRESSURE. When applying extraction pressure, it may prove helpful for a "tight" extraction to first exert pressure on the pry bar, then release for a moment, and then repeat one or more times before exerting the final extraction force. This technique will loosen the root and allow blood to enter the space between the root and the bone, making the extraction easier when exerting the final extraction force. 7. READ THE INSTRUCTIONS AND STUDY THE VIDEOS. Some dentists are tempted to begin using the System without actually reading the instructions or studying the videos. However, experience has shown that those who review these instructional materials before performing extractions with the System develop clinical skill more quickly than those who do not. Q. What can be done if the screw does not grip and strips out of the pilot hole? A. The structural integrity of some teeth are so compromised from decay that the force required for the extraction may strip the screw from the root. To minimize this, our screws are designed with a tapered screw, and also with a screw thread pattern that maximizes the grip of the threads into the tooth. And, we have designed our screws in both a "thin taper" and "thick taper" configuration. If the thin taper screw strips out, it is often possible to try again using the thick taper screw. To reduce the likelihood of a screw stripping from the root, proper clinical technique, as described more fully in our written instructions, is especially important. To summarize, first, cut the PDL and luxate the root, using periotomes to wedge back and forth as deeply as possible between the tooth and the bone (especially mesially and distally). Reduce extraction resistance further by luxating the root with elevators whenever possible. You can see this technique in the clinical video on this website that shows the work of Dr. Sheldon Lerner, one of the principals of Blue Sky Bio, an implant company that recommends the Sapian Root Remover System. Another clinical technique that has been helpful to reduce extraction resistance is to use a "pumping" motion for the extraction - exerting force on the extraction handle, then resting so that some fluid or blood enters the PDL space, and then reapplying controlled force. This technique emphasizes a further advantage of the Sapian Root Remover System over the prior generation of specialized root extraction devices - the Sapian Root Remover System gives the dentist full tactile control and feedback regarding extraction forces during the procedure. With such "feel" the dentist is able to manage these forces with more finesse, further reducing the slipping screw problem. Q. What if a root fractures during insertion of the screw? A. As you will notice in the attention we have given to our "driver" devices, we have thought carefully about how to provide dentists with versatile tools that maximize tactile feedback during the screw insertion process. Ideally, by being attentive to such tactile feedback, the dentist can reduce the incidence of root fracture. However, some roots are so structurally compromised and fragile that it impossible to avoid a fracture while inserting the screw. When a root does fracture, there are several solutions. A fracture in a multiple root tooth may leave individual roots that can still be extracted separately. When single root fractures, it is usually easy to remove root remnants using root tip picks and a surgical suction tip. In some cases a 90 degree angle long, pointed root tip hemostat also proves helpful. Q. Occasionally, while using my Sapian Root Remover System, I find that the extraction screw will bend or break, why is this? Could the screws be made from harder metal? A. While developing our extraction screws we experimented with several variables, including different types of surgical grade stainless steel, alloys, designs, and heat treatments that would affect the hardness of the metal. We concluded that extraction screws provide better clinical results when they have some bend or "give" before breaking. In short, a successful extraction with a bent screw is better than an unsuccessful extraction with a broken screw. Additionally, we found that small bends that may occur in screws during extractions can often be straightened so that a bent screw can be reused again. In our detailed written instructions, see the directions for using our screw straightening feature built into the screw/bur block. In a nutshell, under certain clinical circumstances bending a screw is an expected and perhaps even a necessary part of a successful extraction. However, by using proper extraction technique, as described in our detailed written instructions, dentists can minimize unnecessary screw bending.